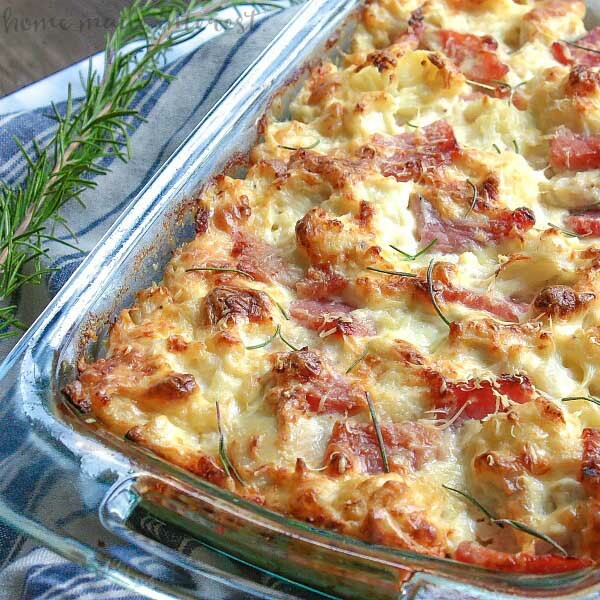 I could honestly eat a different type of casserole every night. 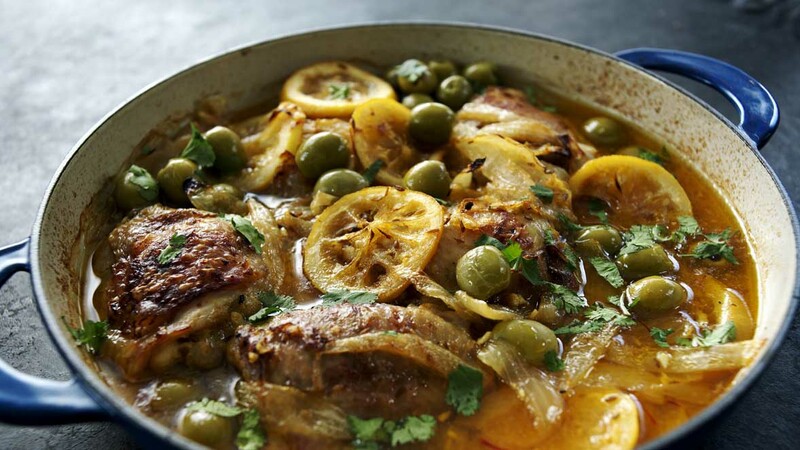 As a busy working mom, I love the idea of tossing a bunch of ingredients into a pan, throwing it in the oven, and enjoying a warm, hearty dinner. 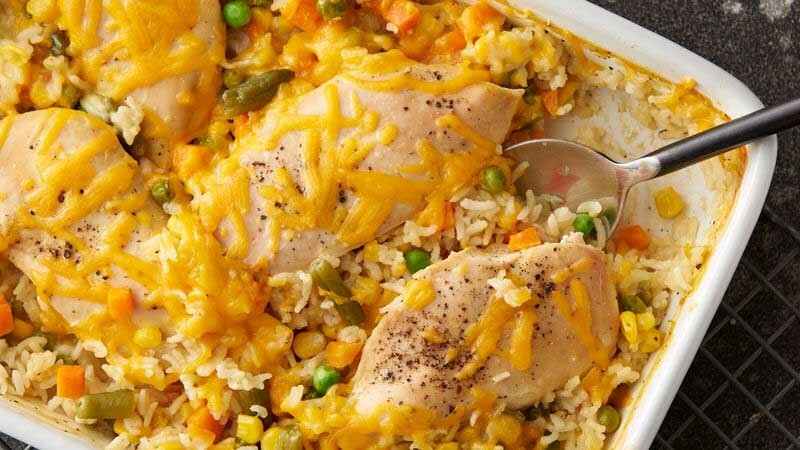 If you’re looking for ways to make the process of cooking dinner a little easier, check out these awesome chicken casserole recipes! 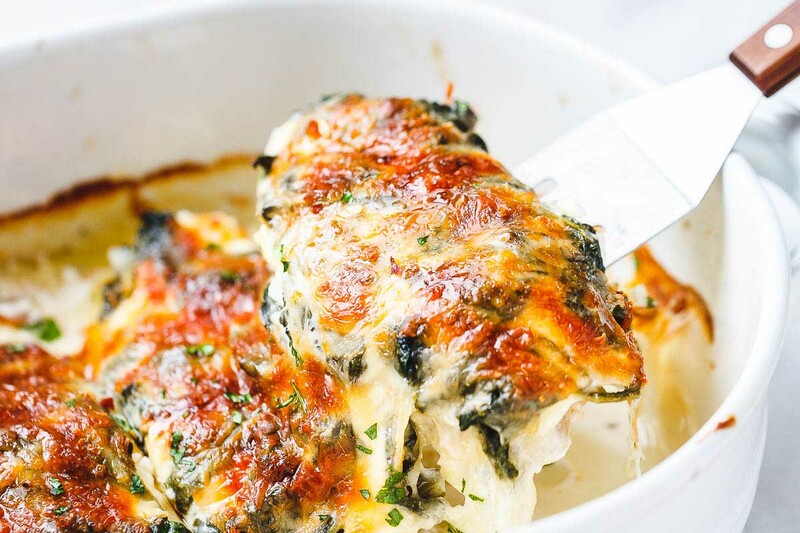 Your kids won’t even notice this casserole has spinach in it when they taste the cream cheese and mozzarella! Yum. 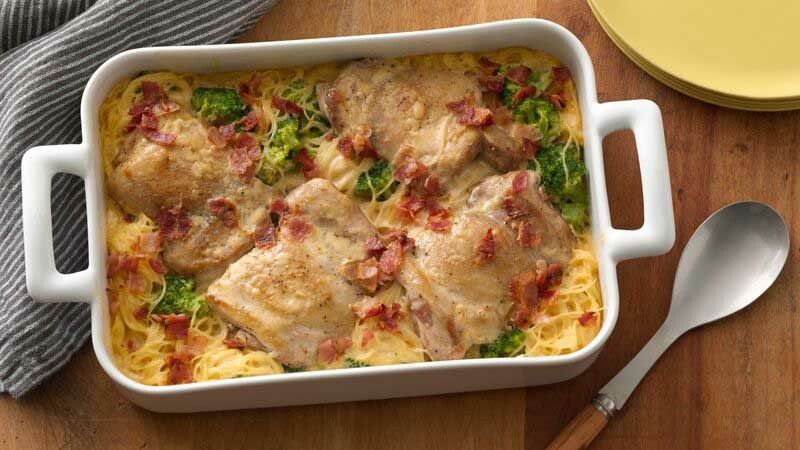 Chicken thighs, angel hair pasta, broccoli, and bacon come together in this delicious casserole recipe. 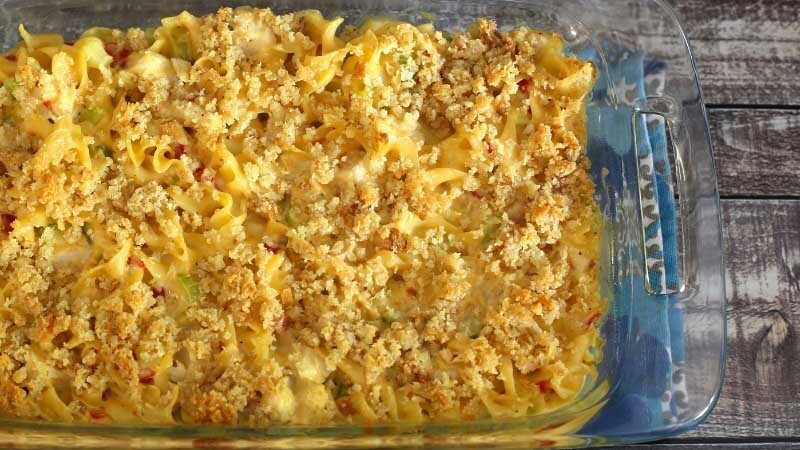 The flavors in this casserole recipe are out of control! Can’t wait to try this one. 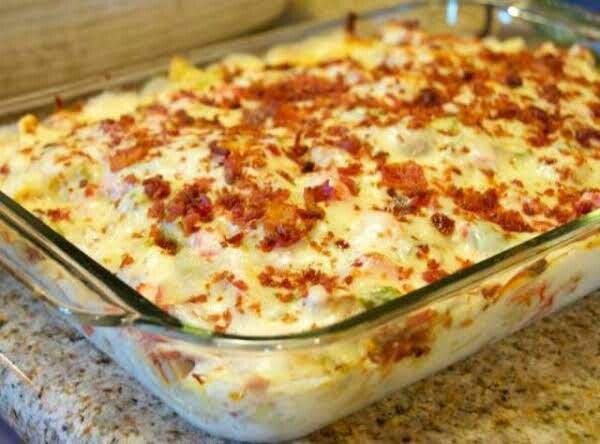 The name of this casserole recipe alone fills me with nostalgic memories of my grandma’s cooking! 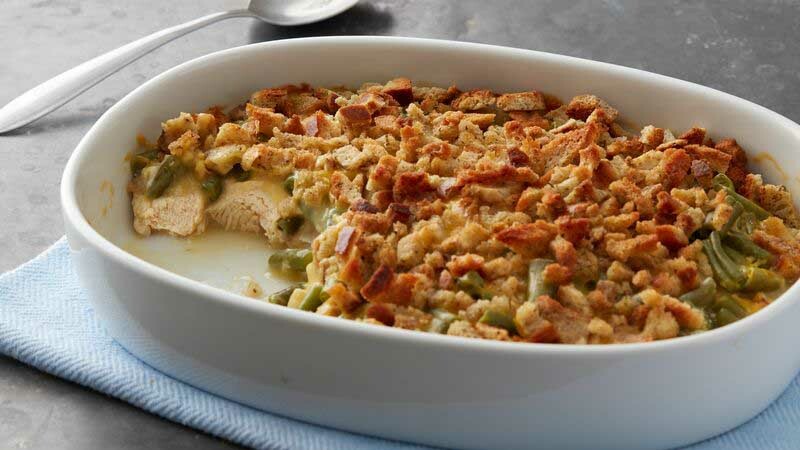 When Santa Fe-inspired flavors come together in casserole form, you know this recipe is going to be good! 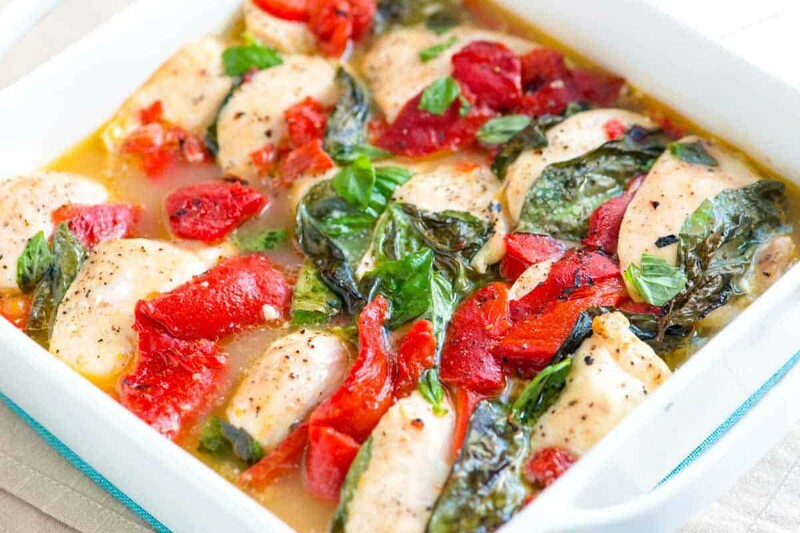 Not only is this casserole recipe extremely healthy, but it’s also filled with delicious, Italian-inspired flavors. 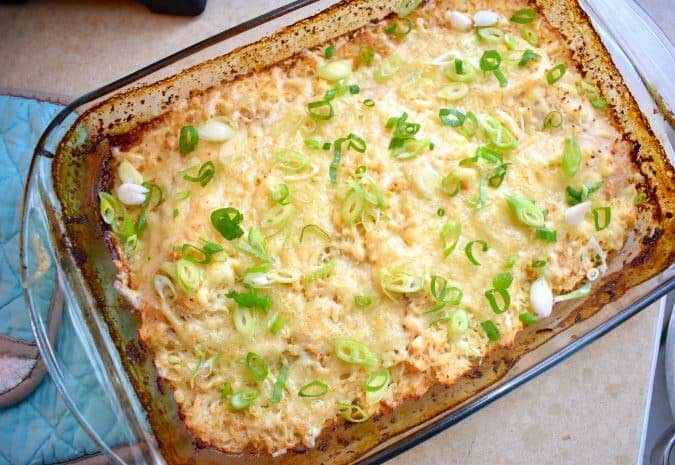 This casserole is so easy to make. You can substitute many of these ingredients for whatever you have in the fridge. 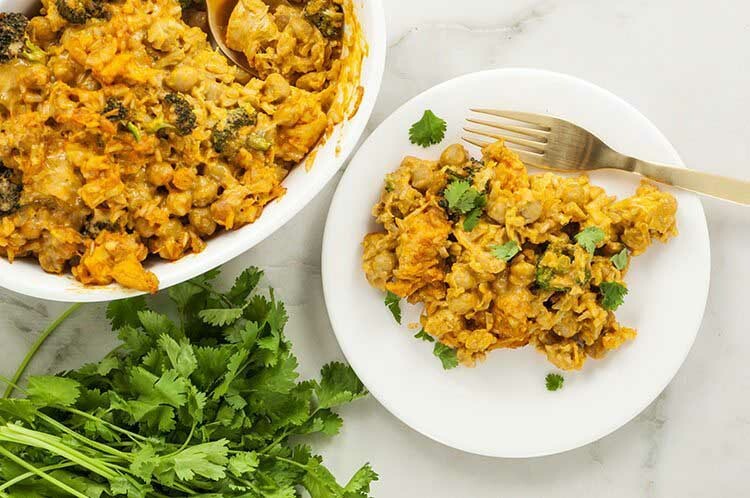 The flavors of Thai curry chicken in casserole form? Say no more! 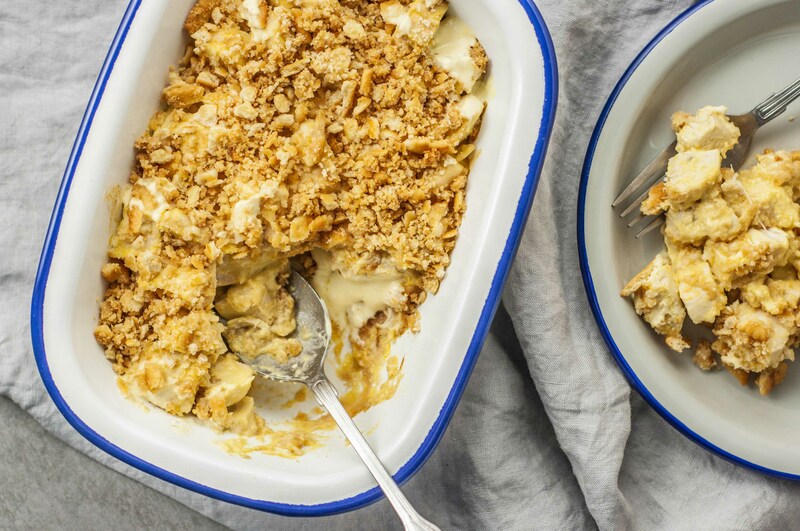 While this recipe isn’t the healthiest on the list, it is the absolute definition of Sunday night comfort food. 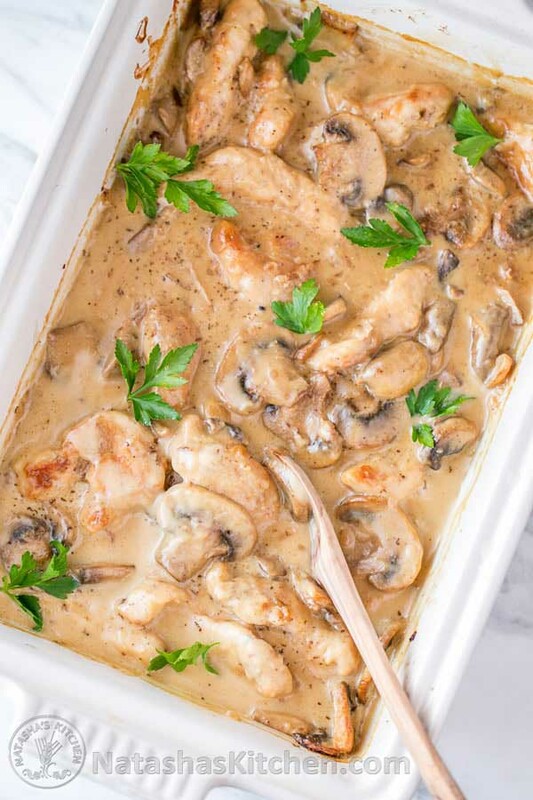 Tender chicken, flavorful mushrooms, and a creamy sauce? I’ll certainly be making this casserole recipe. This Southern-inspired recipe checks off all the comfort food boxes. I’ll take two, please! The best part about this mouthwatering recipe is that it’s actually quite healthy. A total win! 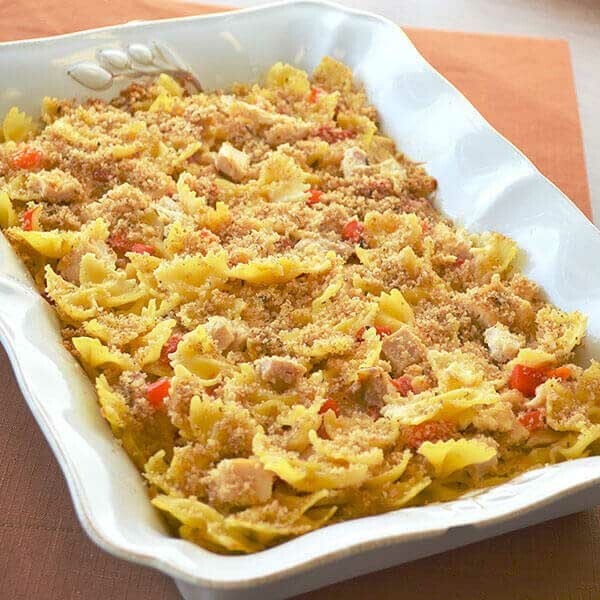 Pasta, chicken, and alfredo sauce are a combination the whole family will love! 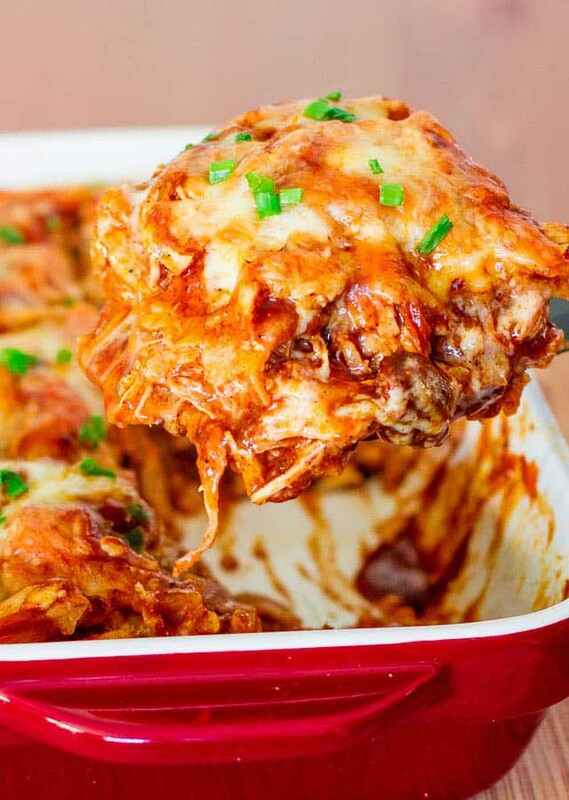 As someone who’s a huge fan of french onion soup, I will 100% be trying out this recipe. 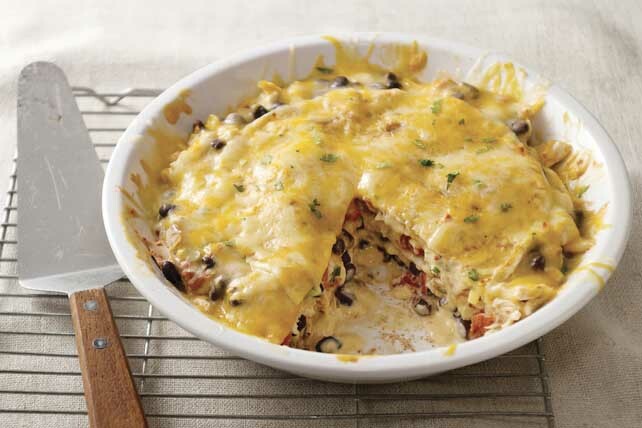 Take enchilada night to a new level with this simple recipe! Plus, cleanup will be way easier. 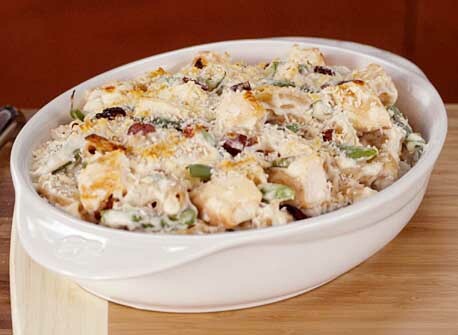 This chicken casserole recipe is given a unique spin with kalamata olives and sundried tomatoes. 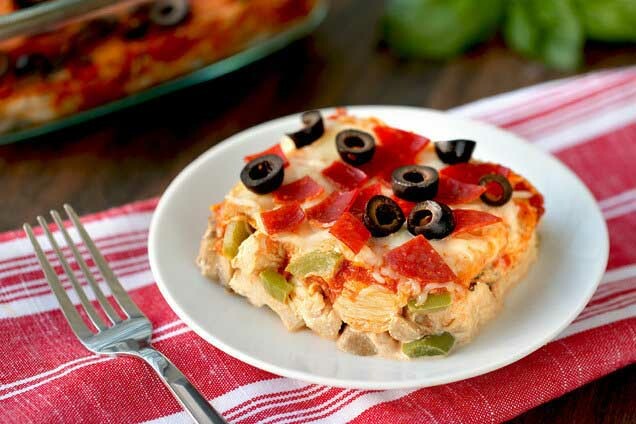 If you love pizza but don’t love consuming a ton of carbs, this casserole recipe was made for you! This decadent recipe sounds fancy and hard-to-make, but it’s really just delicious!